SMBs have fewer resources at their disposal than their bigger contemporaries when it comes to protecting their critical assets, so it’s important that when they decide to purchase a security tool that it’s comprehensive and effective. Many SMBs are leveraging endpoint detection and response (EDR) tools to safeguard their data and devices – but EDR alone isn’t enough to create full, comprehensive protection. 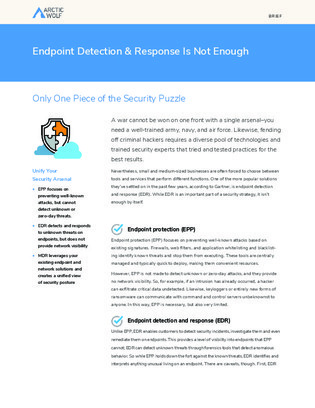 Find out how you can complement EDR’s essential functionalities to lend new layers of security to your organization’s defenses.